#1 – Seclusion. Sure the city lights can be luring, but Alaska has the lowest population density in the nation at one person per square mile. The perfect place to unplug and drink life in. #2 – Natural Hot Springs. The U.S. Geological Survey identifies 79 thermal springs in Alaska. Photo from http://www.Alaska.org of Chena Hot springs. 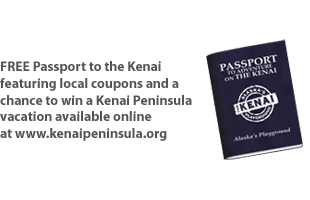 #3 – Snow days in Alaska are not ordinary whatsoever. Winter is nothing short of EPIC. Drive right out your front door and go cross country skiing or snow-machining in a total backcountry paradise. #4 – 24 hours of daylight. Otherwise known as “the land of the midnight sun.” This means, more time to play during the warm summer months. Alaskans have a motto: we will sleep in the wintertime, just like the bears! #5 – Aurora Borealis. The beautiful colors of the Northern Lights do all the talking for themselves. Seeing these gorgeous dancing lights in person is a MUST for everyone’s lifetime bucket list. #6 – Sunrises. One word: breathtaking. We would say more, but we are speechless. #7 – Fishing. The fishing and seafood industry is the state’s largest private industry employer. Such a fun activity for the sport fisherman as well as the whole family. #8 – Hiking. 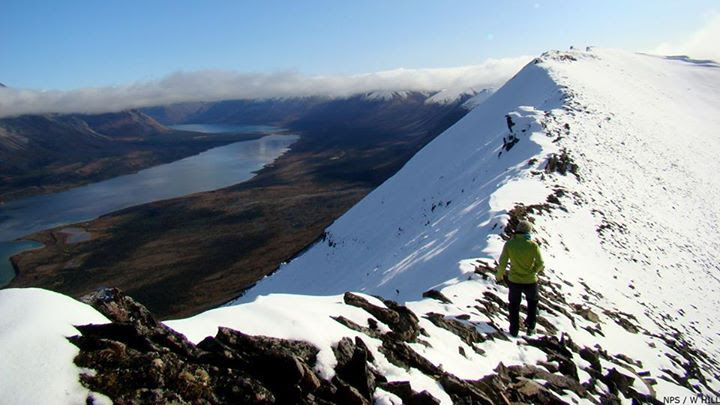 For the active, outdoor enthusiast- Alaska is the place to be. Whether you are a beginner or an expert hiker looking to go off the beaten path, hundreds upon thousands of hiking trails make up this beautiful state. #9 – Water babies, unite! There are more than 3,000 rivers and 3 million lakes in Alaska. #10 – National Parks. Alaska has 8 National Parks, the second largest amount of any other state in the USA. All but two are actually classified as both National Parks and National Preserves. #11 – Island living. Don’t think of “island life” when you think of Alaska? Think again. Alaska has 2,670 named islands making this the state perfect for those who want their own slice of Alaskan paradise. #12 – Alaska or bust! “The mountains are calling, and I must go!” Of the 20 highest peaks in the United States, 17 are in Alaska. #13 – Forests. The country’s largest and second-largest national forests are in Alaska. The 17-million-acre Tongass and the 5.6-million-acre Chugach. Both lie in southern Alaska and protect temperate rain forests and coastal mountains. #14 – Glaciers. There are 616 officially named glaciers in Alaska however the Alaska Almanac estimates that Alaska has over 100,000 glaciers. #15 – Arctic Tundra. This refers to treeless ecosystems where winters are long and cold, and summers are short and (usually) chilly. With a view like this, it’s hard not to fall in love. #16 – Dog mushing is our state sport! And what’s not to love about that? In our book, the more dogs- the better! There is something so spectacular about the relationship between hard working dog mushers and their resilient, athletic dogs. #17 – A birders paradise. Alaska has over 430 species of birds with the largest population of bald eagles in the entire nation. #18 – A bear viewing mecca. 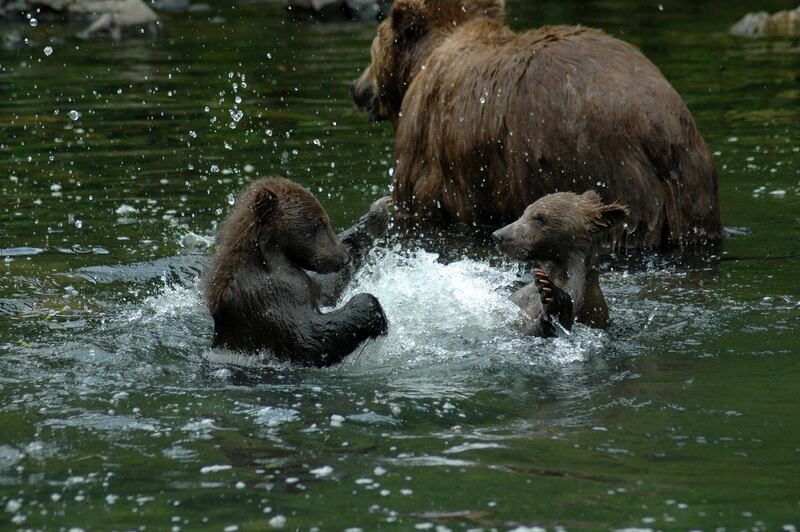 Alaska is home to 98% of the US brown bear population and 70% of the total North American population. 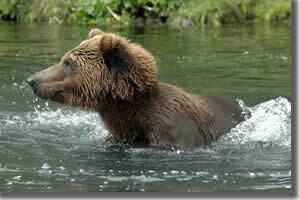 An estimated 30,000 brown bears live in Alaska. #19 – We have the highest mountain peak in North America, Mt. Denali (formerly Mt. McKinley). Sitting 20,310 feet above sea level, Mt. Denali is the third most prominent and isolated mountain in the world. #20 – Sunsets. We will let the picture do all the talking. But really though, how could anyone resist this stunning eye candy? Photo from O’Dell Fowles shared by High Adventure Air Charter, Guides & Outfitters. 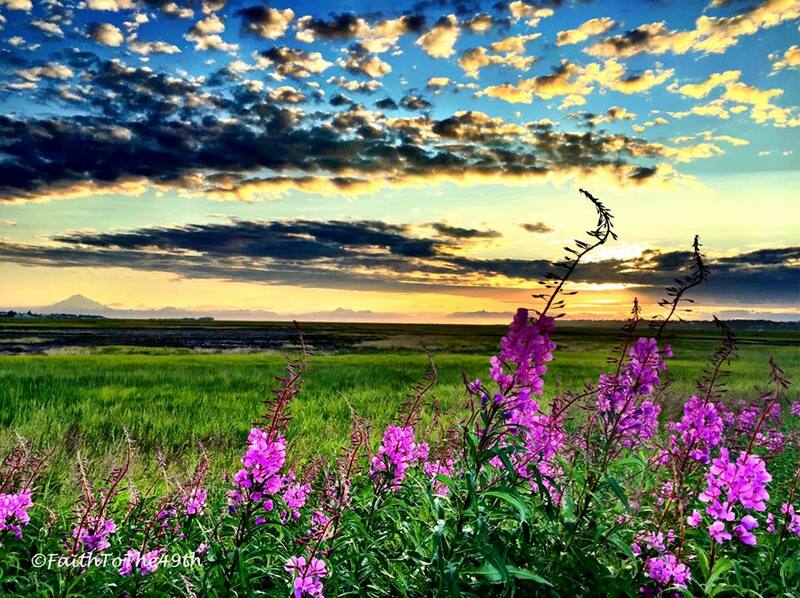 The Kenai National Wildlife Refuge is one of over 500 unites in the National Wildlife Refuge System. This is a 150-million acre network of lands and waters that is set aside to help conserve out nation’s fish and wildlife heritage. Photo from the Cooper Landing Chamber of Commerce & Visitor’s Center and Tracy Curtin. The Kenai National Wildlife Refuge, often call “Alaska in miniature,” is home to a wide diversity of wildlife including moose, eagles, brown and black bears, lynx, wolves and trumpeter swans. Bald eagles in Homer, Alaska from freenaturepictures.blogspot.com. For a complete list of species, visit the official U.S. Fish & Wildlife Service link HERE. Lynx enjoying the fresh snowfall on the Kenai Peninsula. The eastern portion of the refuge descends from the 6,500 Harding Ice Field to 2,000 to 4,000 ft. peaks in the western Kenai Mountains. Photo of the Harding Ice Field from http://www.photosbymartin.com. Ice fields and glaciers are vital sources of fresh water for wildlife and people. Mountain goats, brown bears and ravens have been sighted crossing glaciers by many locals and visitors alike. Photo from the Kenai National Wildlife Refuge Facebook page. In the refuge you will find Mountain Tundra. This is where the tree line ends at 1,500 to 2,000 ft. with low growing tundra plants and shrubs continuing in elevation to snow and rock fields at 4,000 ft. Dall sheep, mountain goats, and caribou roam this rugged country. Hoary marmots form colonies on talus slopes. Brown bears graze for berries and occasionally take marmots and sheep. Wolves and golden eagles have been known to be successful hunters of young sheep. Wolverines scavenge the carcasses of dead sheep and goats. Photo of brown bears searching for berries. From sea level to 2,000 ft., the northern boreal forest is found on the refuge. This forest is composed predominately of white and black spruce, birch, aspen, and cottonwood trees in various stages of succession. This forest is an important source of food and shelter for moose, black and brown bears, lynx, wolves, coyotes, porcupine, weasels, red squirrels and snowshoe hares. Northern Boreal Forest in Alaska. The lakes & wetlands in the refuge are something extra special! The northeastern portion of the refuge is dotted with hundreds of small lakes surrounded by wetland tundra or spruce/hardwood forest hills. This large wetland habitat supports migratory breeding birds including common and pacific loons, grebes, trumpeter swans, sandhill cranes, ducks, and shorebirds. Photo from the Redoubt Reporter. Mammals found within this lake & wetland habitat include caribou, moose, beaver, muskrat, and mink. The lakes support a variety of fish species, such as rainbow trout, arctic char, red and silver salmon, and sticklebacks. Also within this habitat, the Chickaloon River Flats remains the last pristine major saltwater estuary on the Kenai Peninsula. The Flats serves as a staging area for thousands of shorebirds and waterfowl. Photo at the Chickaloon River Flats from the Redoubt Reporter. And the Rivers in the refuge can be described as “what dreams are made of” with some being world renowned. 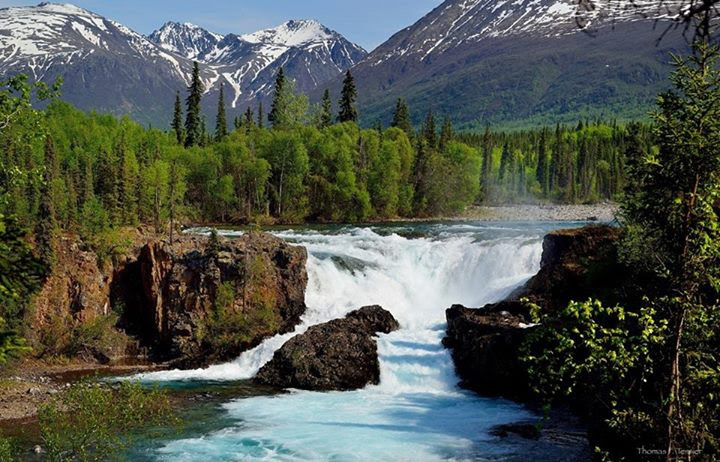 The refuge is drained by nine river systems, including the world famous Kenai River, renowned for its wide variety of sport fish including Chinook (king), sockeye (red), and coho (silver) salmon, and Dolly Varden and rainbow trout. Bald eagles are often sighted perched in tall cottonwoods along the riverbanks. 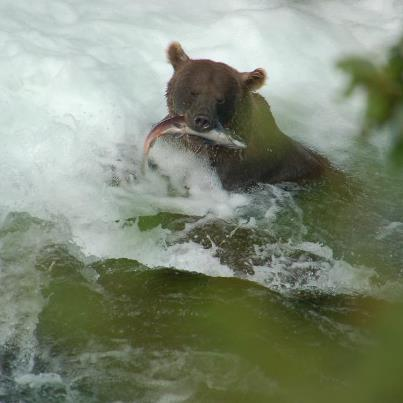 Brown and black bears are attracted to the rich fish resources in summer and fall. Moose, beaver, and mergansers are commonly seen wildlife along refuge river systems. Photo from the Upper Kenai River Trail at the Russian River Ferry, USFWS/Berkley Bedell. If you haven’t yet visited, you simply MUST. Be sure to make time to catch a good reflection (double the pleasure, double the memories). Photo from Aren Kert at Tern Lake. Photo from Sara Moore via the Kenai National Wildlife Refuge Facebook page. If you prefer to get your body moving and enjoy an active lifestyle, we recommend a hike in the refuge. So many incredible options to choose from. Be sure to get up early enough (at least one day) to enjoy a sunrise. Worth it? We think so! Sunset over Mt. Iliamna. What dreams are made of. 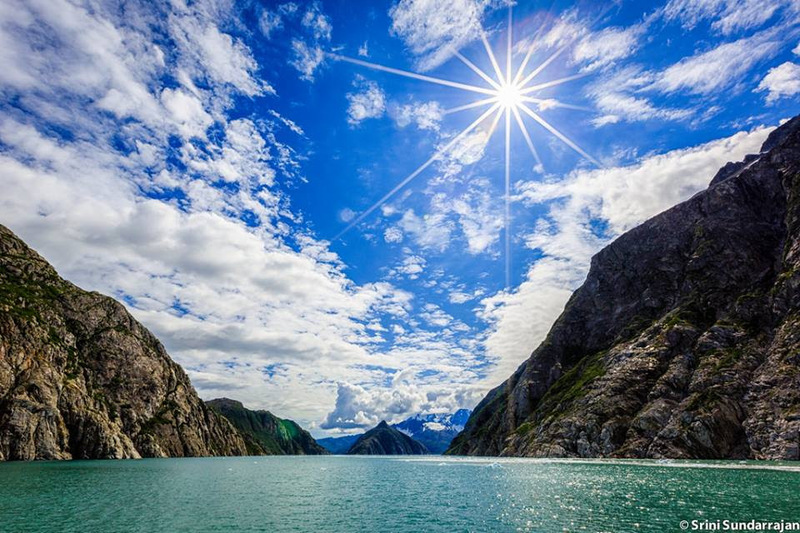 Photo from Srini Sundarrajan in Kenai Fjords National Park – Seward, AK. How will you enjoy the final 50 days of summer!? That’s right… only 50 days remaining. It’s crazy how fast it’s already flown by. Sigh, (insert tear shedding here.) Okay, moving on… chin up buttercup! Time is a wasting and there are many, many things to smile about! Photo from Brian Moore overlooking the Kenai Flats to Cook Inlet. The Kenai, Alaska’s Playground truly does offer an endless amount of incredible outdoor activities. And although us residents find a plethora of activities to keep us happily entertained all year long, the summer months are highly cherished an always have a way of leaving us wanting more. 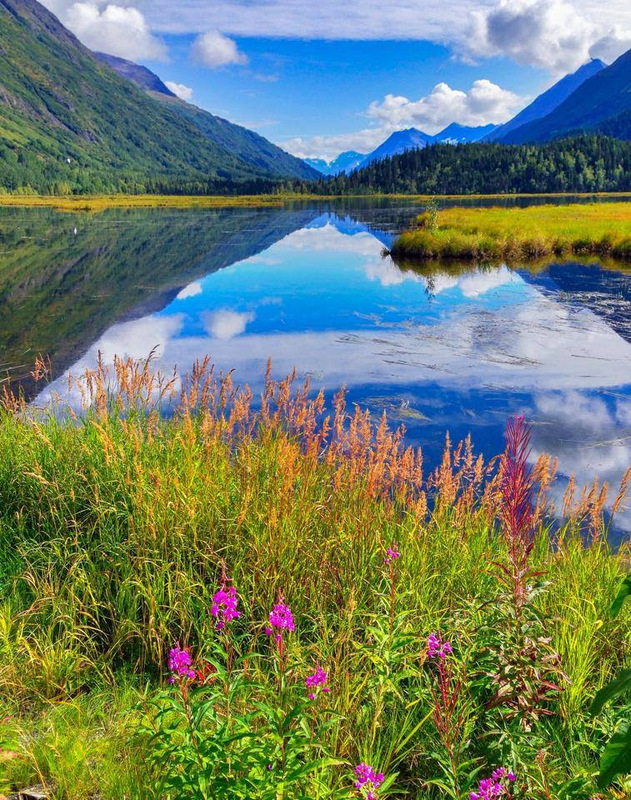 Summertime opens up so many opportunities for locals and visitors alike to get outside and enjoy the natural splendor of Alaska. Tons of fun, lots of smiles and lifelong memories with friends and family. 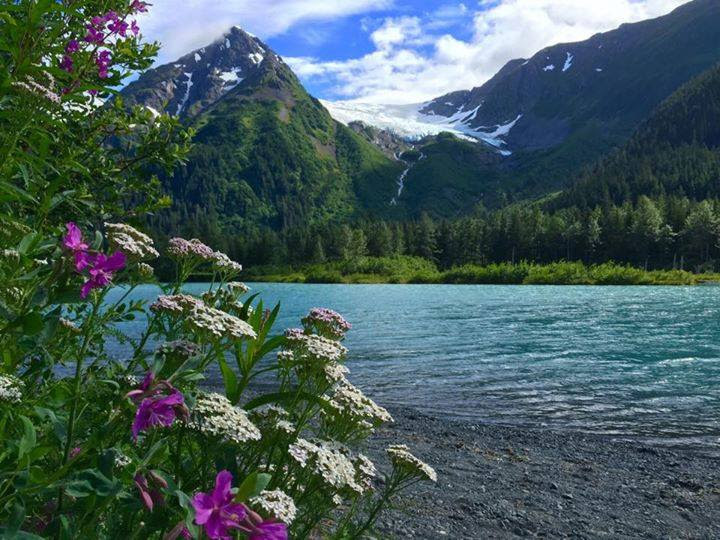 From mountains, to glaciers, to wildlife, to our amazing fisheries… the Kenai Peninsula has it all. Photo from Carl Johnson in Portage Valley Alaska, Chugach National Forest. Photo from Jeff Nelson on The Kenai, Alaska’s Playground. Go horseback riding! Enjoying the fresh air and incredible sights is always better when you have great friends and a beautiful horse to bond with. 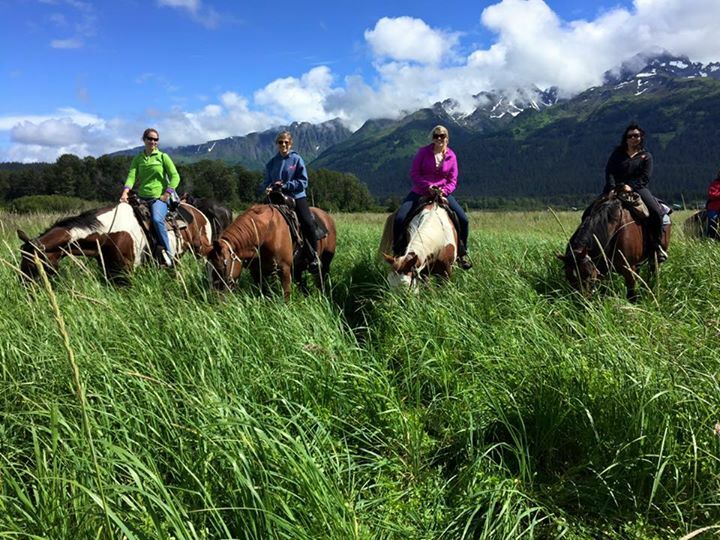 Bardy’s Trail Rides in Seward, Alaska. Take a float, just don’t tip the boat (brrr)! 😉 Floating down the Kenai River near Cooper Landing is always a glorious way to spend a beautiful day on Alaska’s Playground. Photo from Eugen Marculescu on the Kenai River. 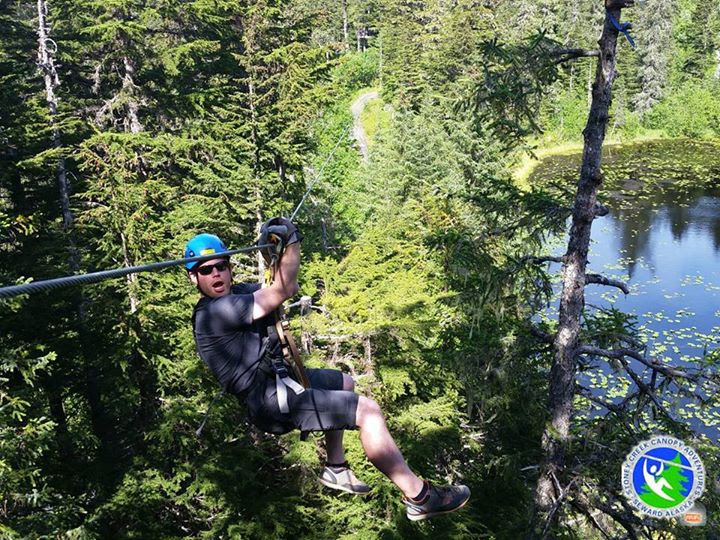 Go zip-lining with Stoney Creek Canopy Adventures in Seward, AK. This exhilarating adventure is fun for all ages! Photo from Stoney Creek Canopy Adventures in Seward, AK. Beautiful photo in Lake Clark National Park & Preserve. 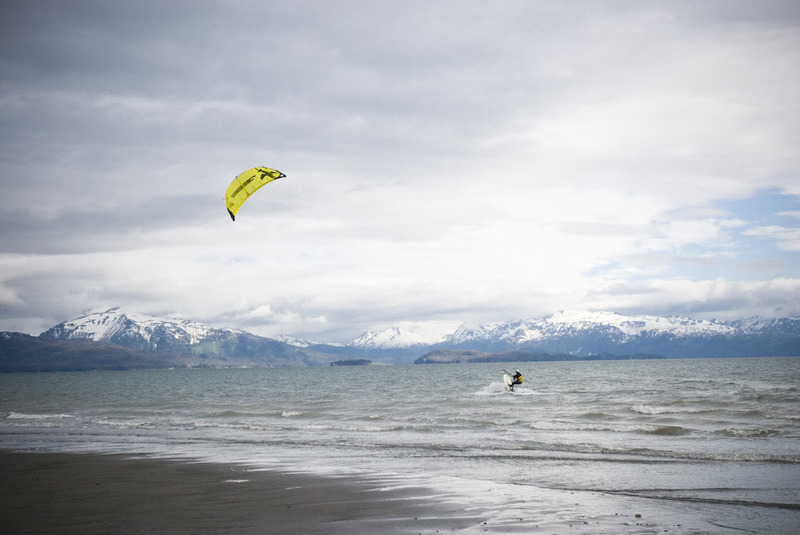 Get in touch with your adventurous side and go Kiteboarding! 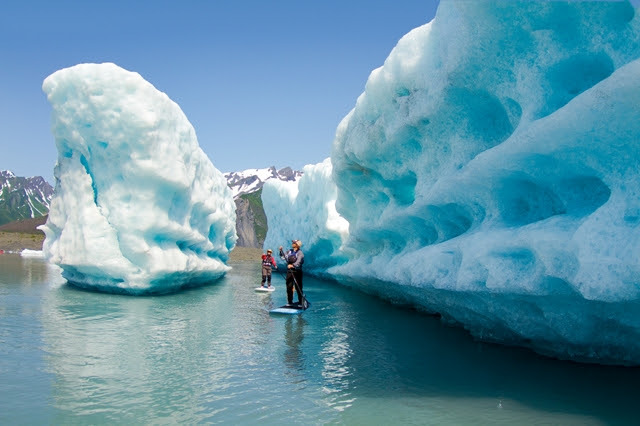 Homer, AK is an excellent spot to enjoy this spontaneous activity. Beautiful photo at Mariner Park in Homer, AK from Kite Surf Atlas. 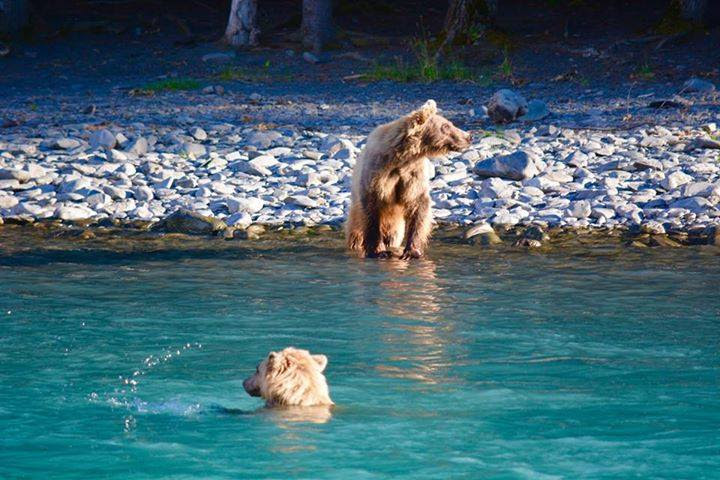 Cool off like the bears! 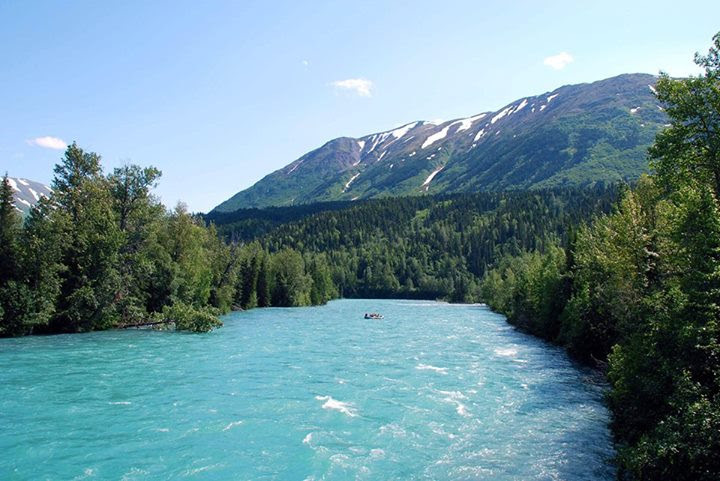 Beat the heat by taking a dip in one of the Kenai Peninsula’s many rivers, lakes or streams. Photo from Heidi Ho Hanson. SUP! That’s “Stand Up Paddleboarding” to you. Have you tried it? If not, you absolutely should. Need more convincing? Just LOOK at the image below. Utterly breathtaking. Photo from Liquid Adventures at Bear Glacier in Seward, AK. Find a waterfall and enjoy an impromptu photo-op. Or read a good book with the sound of the waterfall crashing down in the background. Because, why not? Tanalian Falls in Lake Clark National Park & Preserve. Photo from Tom Tessier. Go surfing! 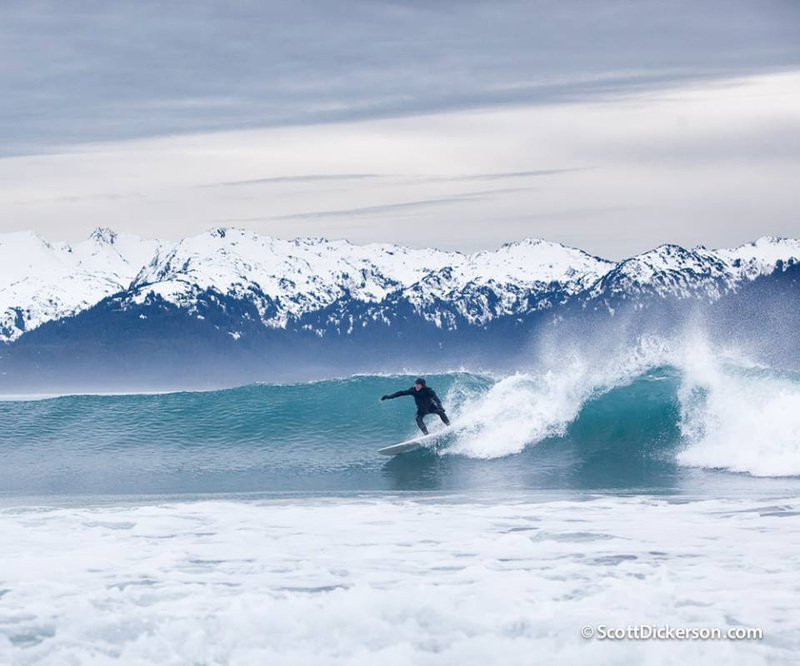 Catch a wave and cool off in style while enjoying the beautiful mountain views on Alaska’s Playground. Amazing adventure shot from Scott Dickerson Photography. 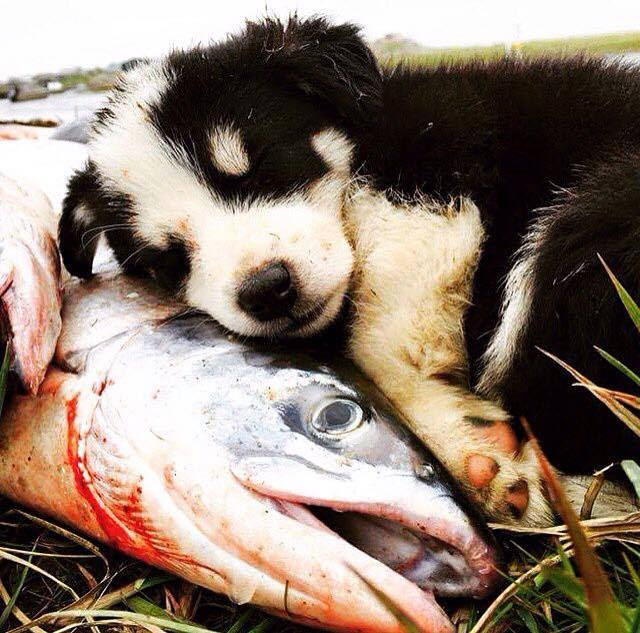 Great photo from Marissa Tomaganuk shared from The Alaska Life Facebook page. Catch a reflection! Do you see it below? Look again. Pretty amazing, huh? 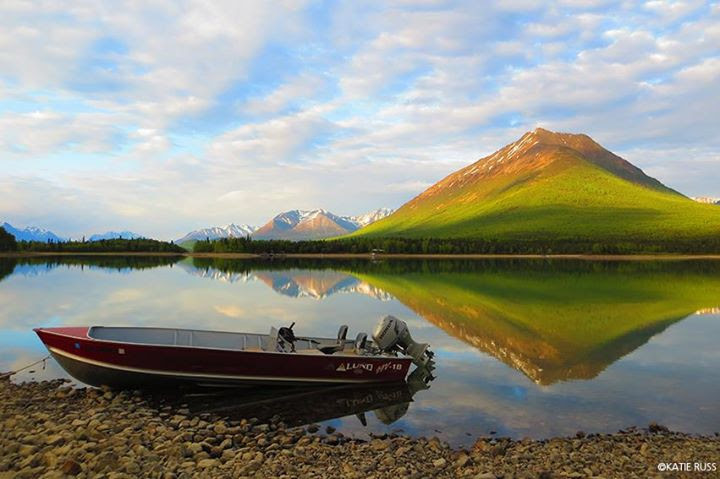 Great photo Katie Russ, “People’s Choice” winner of Lake Clark National Park & Preserve’s 2015 photo contest. 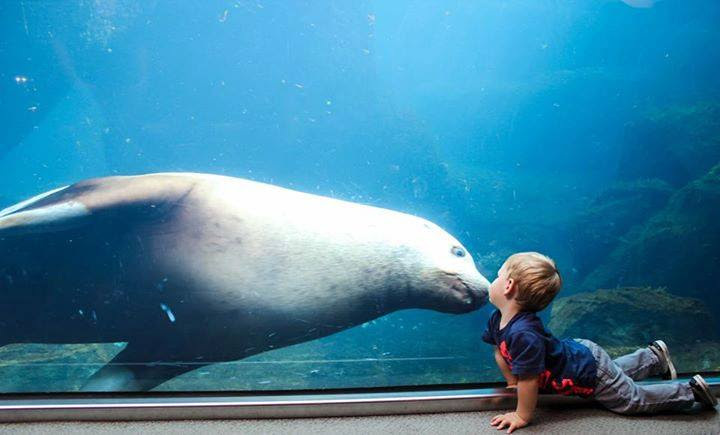 Load up the kiddos and get up close & personal with some incredible marine animals. Photo from Megan at the Alaska Sealife Center in Seward, AK. Stay up late enough to catch a sunset! Trust us, it is worth it every time. Every. Single. Time. 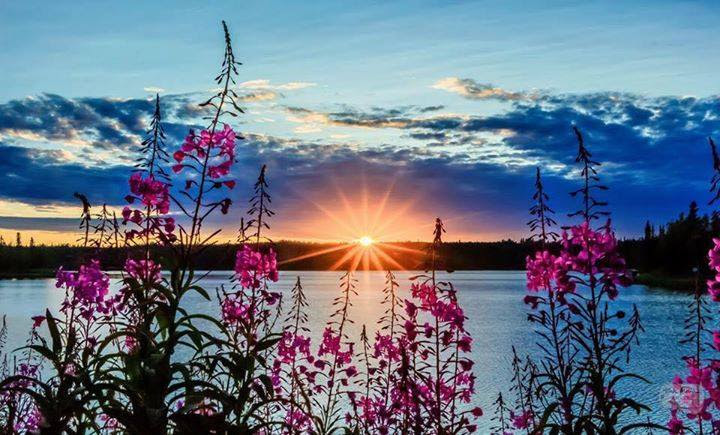 Beautiful fireweed in front of Lake Parsons, Nikiski, Alaska. Photo from RMEVET Photography. 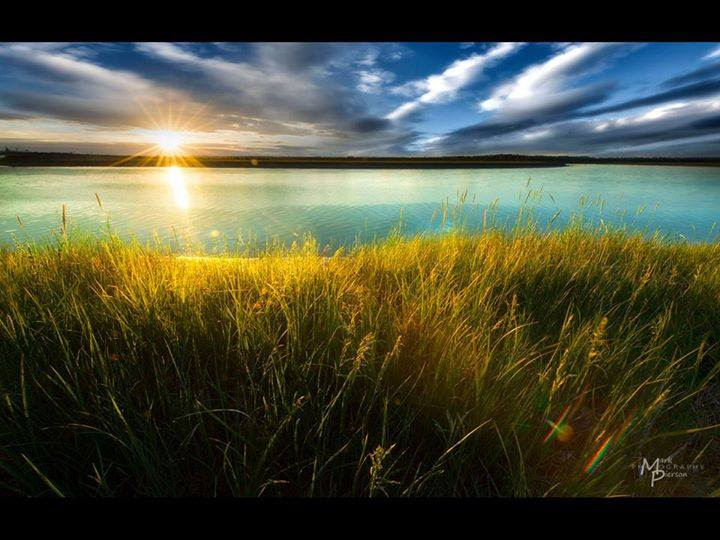 Photo of the Kenai River from Mark Pierson Photography. Cooper Landing had a GREAT bear show this summer. Lots of folks come to Alaska for Bear Viewing and the Kenai did not disappoint. Several spots were consistent for watching bears as they fished the pools and trained their cubs to do the same – at least when the cubs would pay attention that is.